There are few experiences more frightening than the diagnosis of cancer. We make sure you won’t have to fight it alone. At Margaret Mary's Cancer Center, our goal is to restore our patients and their families to wholeness, both emotionally and physically. Patients who choose us for their cancer care appreciate our services for many reasons. 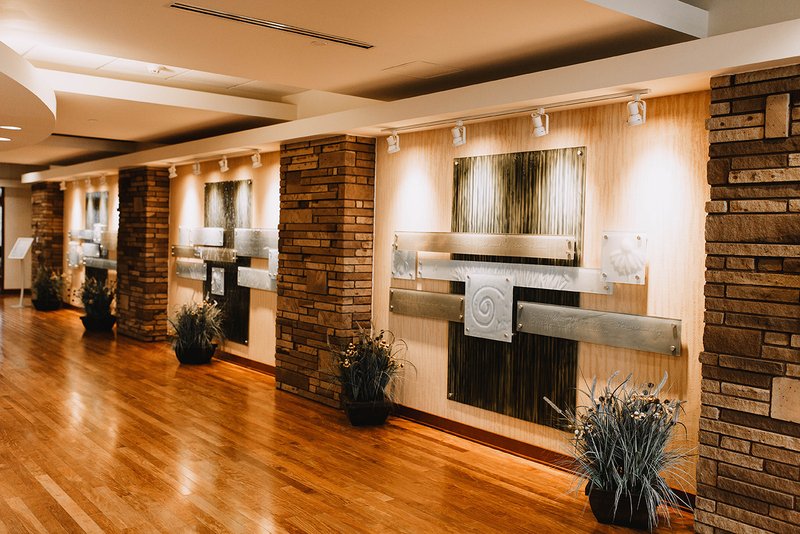 When you step foot in our facility, we hope you are impressed by its beauty, comfort and spa-like feel. But even more importantly, we hope you appreciate the constant smiles, sympathetic ears and warm hugs given by our staff. Our cancer program has been accredited by the Commission on Cancer of the American College of Surgeons since 2008. This accreditation is awarded to facilities that voluntarily commit to providing high-level, quality cancer care to their patients. “I wasn't just a number here. I was Claire." 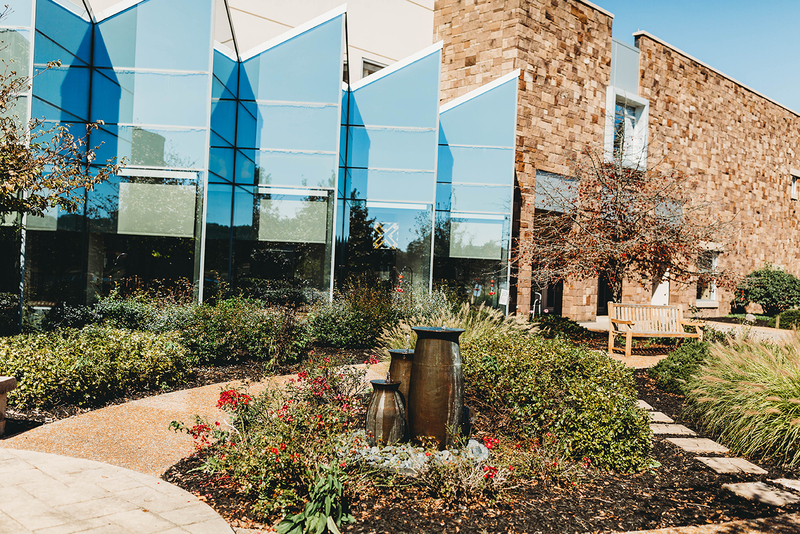 Although receiving cancer treatments isn’t exactly an enjoyable experience, most of our patients would agree receiving them at Margaret Mary's Cancer Center makes the process a whole lot easier. Chemotherapy, Biotherapy and Hormone Therapy can all be used to treat cancer. The use of these medications helps to kill or halt cancer cell growths. These medications can be administered orally or through the use of an IV. Because treatments are often given in cycles and can take hours to administer, our goal is to make sure you are as comfortable as possible during your visit. Our medical oncology department includes six private infusion bays for patients receiving treatment. 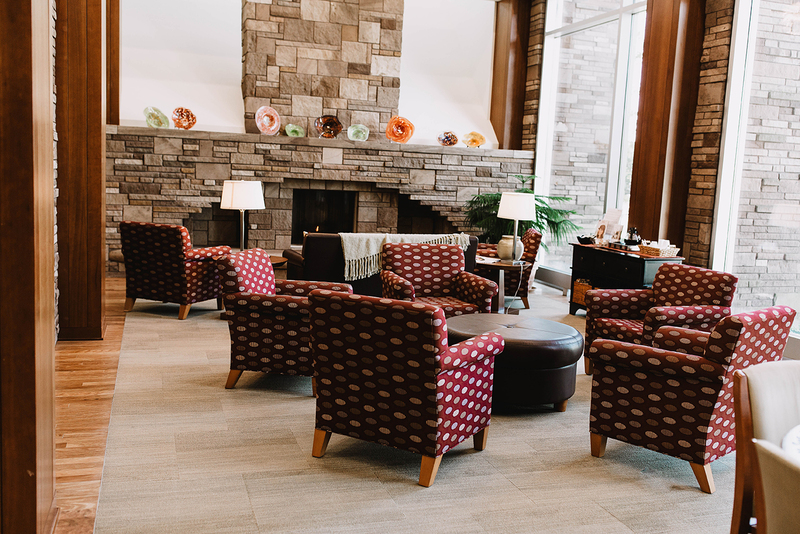 Amenities in the infusion bays include televisions, plenty of seating for loved ones and large windows overlooking a four-season healing garden. Our nurses’ station is also located near the infusion bays in case you would need assistance during your stay. 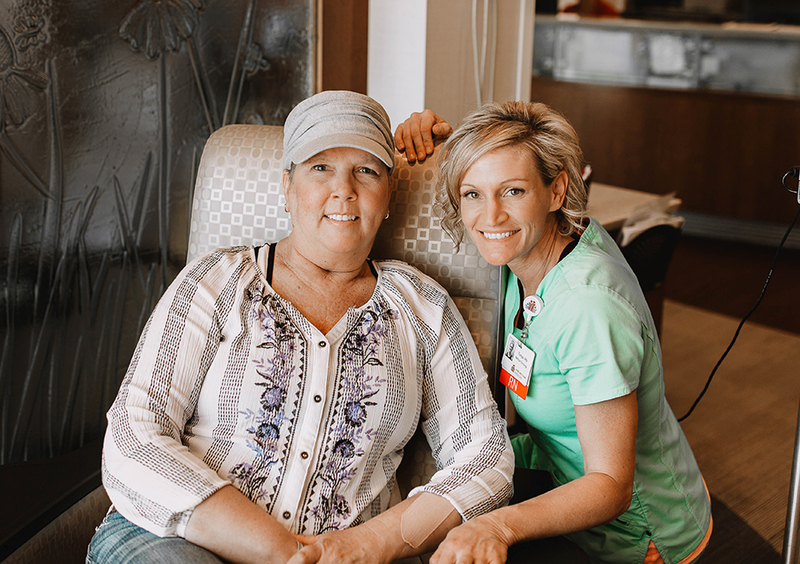 “A cancer diagnosis can stop you in your tracks,” said Sheryl, “but I knew all along I was going to be ok. My mom received her cancer treatment at Margaret Mary, and I knew I wanted to do the same." Our radiation oncology department offers among the most precise radiation therapy treatment available on the market today. 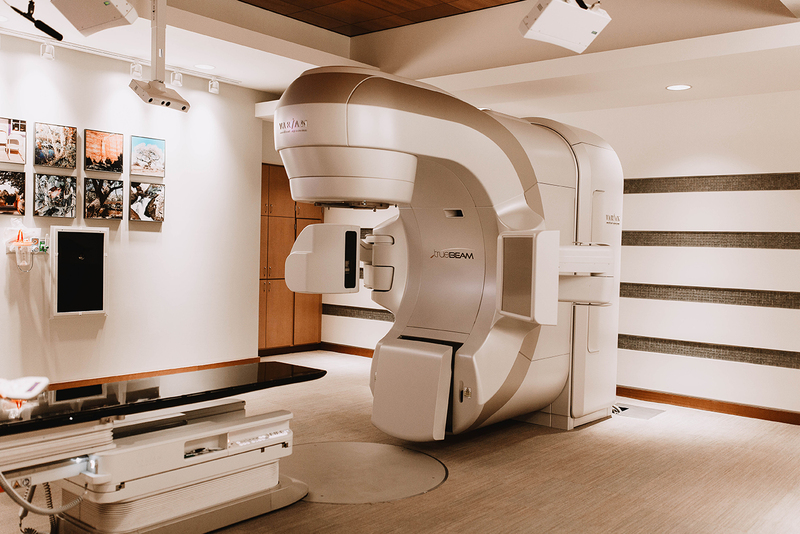 Our advanced equipment, including a linear accelerator and CT simulator, offers diagnostic and treatment capabilities you would expect to find at a big-city facility. 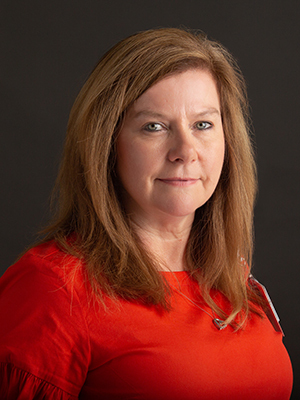 Many of our patients can benefit from Intensity Modulated Radiation Therapy (IMRT), a form of radiation that uses computer-generated images to deliver a precise radiation dose that conforms to the shape of the cancerous tumor. For our patients, this equates to less radiation to surrounding healthy tissues, better outcomes overall and fewer negative side effects. Here’s what you can expect to find when you visit us at the cancer center. 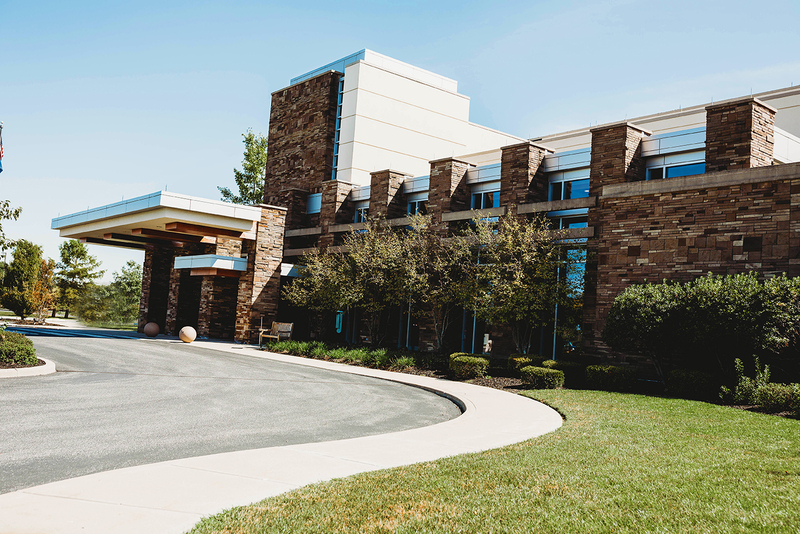 Take a tour of our beautiful facility. To help area residents identify lung cancer in its earliest, most curable stages, MMH is proud to partner with the University of Cincinnati (UC) Cancer Institute’s Lung Cancer Center to offer a lung cancer screening program. To be eligible for the screening, participants must be between 55-80 years old and have smoked at least one pack of cigarettes per day for 30 years or two packs per day for 15 years. The screening, which includes a low-dose CT scan, is now covered by most insurance programs for eligible patients, including Medicare. For those whose insurance does not cover the screening, a discounted self-pay rate is available. For more information or to see if you qualify, call 812.933.3752. 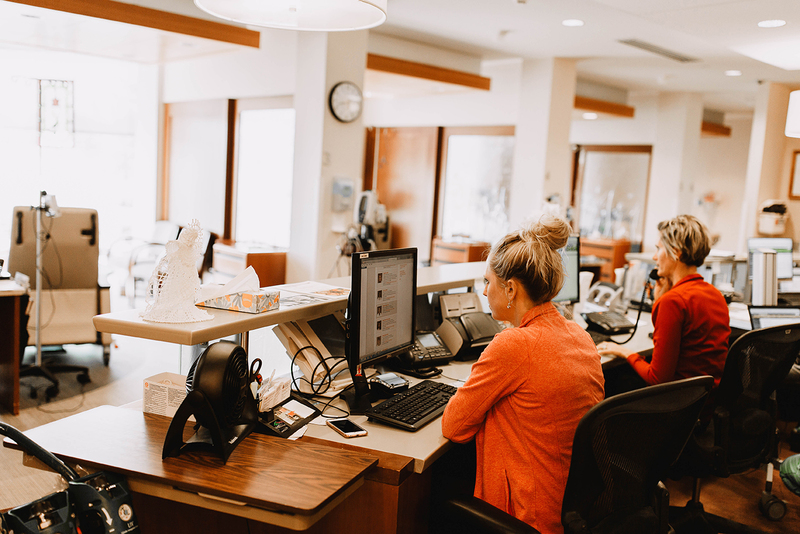 Patients often tell us one of the things they appreciate most about our center is the level of compassion and care provided by our cancer care team. Our staff provides more than cancer treatment to our patients. They provide a level of concern and genuine support that's hard to come by this day in age. Patients often tell us how much they appreciate the constant smiles, sympathetic ears and warm hugs given by our staff. Below you'll find just a few of the friendly faces you might encounter during your journey with us. Many patients undergoing active treatment for cancer appreciate our complimentary massage and comfort touch services. Comfort touch is a gentler form of massage designed to help patients with relaxation and pain relief. For many patients, receiving massage/comfort touch calms them and brings them peace. Others have found receiving the service allows them to better handle pain, anxiety, nausea and fatigue. 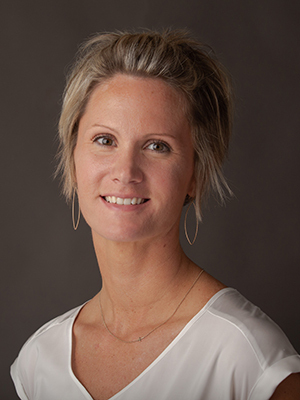 Our certified massage therapist, Carla Stenger, is an integral part of our cancer care team and has specific training in oncology massage and comfort touch. 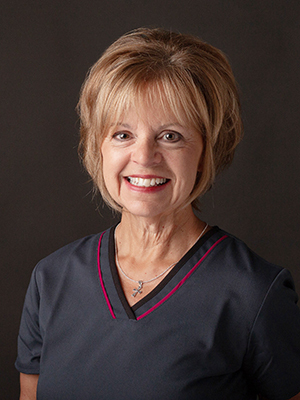 Patients who are interested can schedule a session in her comfortable, spa-like massage suite, complete with dim lights, warm towels, therapeutic creams and soothing music. 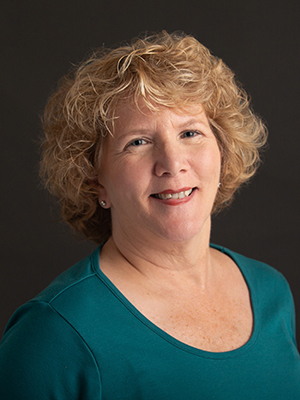 For more information about massage/comfort services, email Carla Stenger or call (812) 933-3779. As a cancer patient, you may experience weight loss or have difficulty eating because of your treatment. These challenges come at a time when proper nutrition is key to maintaining your strength and speeding your recovery. 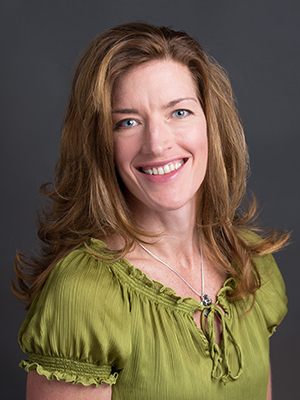 A registered dietitian is available at Margaret Mary's Cancer Center to counsel patients with their nutritional needs. Learn more about Nutrition Services. Many patients use rehab to improve problems experienced after treatment, including fatigue, unsteadiness, pain, muscle weakness, lymphedema, difficulty swallowing, numbness and cognitive changes. Learn more about our Rehab Services. MMH offers financial assistance for mammograms to women who are uninsured and meet certain age, financial and other program criteria. To see if you qualify, call 812.933.5257. 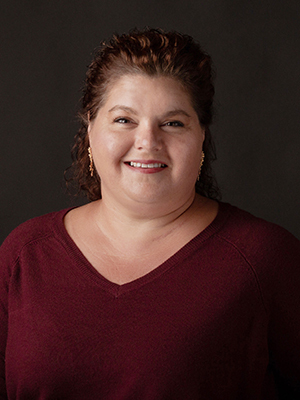 Our Patient Support Service Coordinator is available to assist you with financial issues, transportation, support groups, end-of-life care, emotional assessments and other resources. For assistance, call 812.933.3741. Located within Margaret Mary’s Cancer Center, our Boutique offers a variety of products and services designed to help women manage the physical appearance changes brought on by cancer and its treatment. The boutique is open Monday - Friday 8 a.m. - 4 p.m. Learn more. Many cancer patients face the challenge of getting to and from their treatment appointments. Road to Recovery provides free transportation so patients can focus on getting well, instead of getting a ride. For more information about Road to Recovery, call 1.800.227.2345.